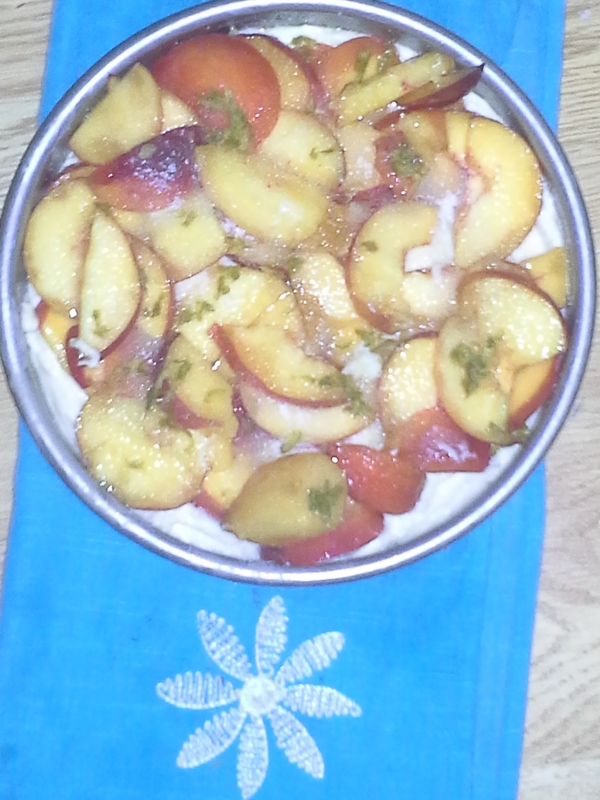 When peaches are in season, I overbuy. Then, it’s a race to eat them all–or bake with them–before they go bad. Thanks to Meatballs & Milkshakes, I met this challenge today. 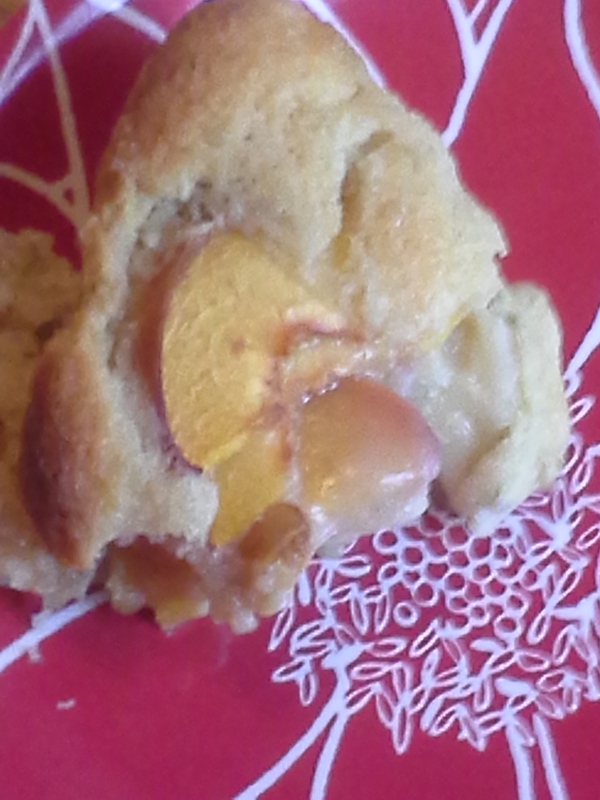 The peaches that were starting to go soft in my refrigerator fruit drawer were destined for the strawberry cake this blog author just posted. Be sure to link back to Meatballs & Milkshakes for the recipe and lovely photos. 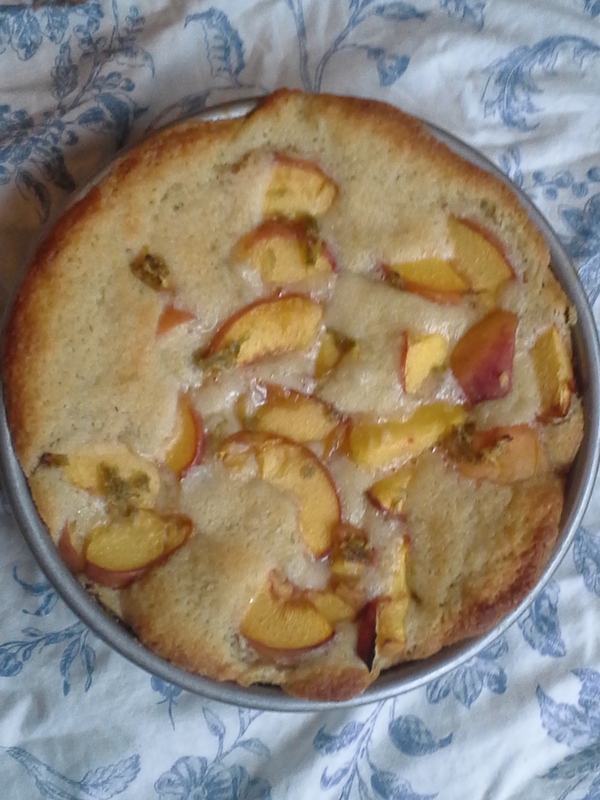 My cake looks different as I used a lot more peaches than she did strawberries–nearly 4 cups fruit total. The cake baked much longer than the one hour in her recipe and was still extremely moist, much like a pudding cake in the center. Also, I used lime zest instead of lemon (about 2 teaspoons) and sprinkled some on the cake just before baking. Hence the greenish flecks. 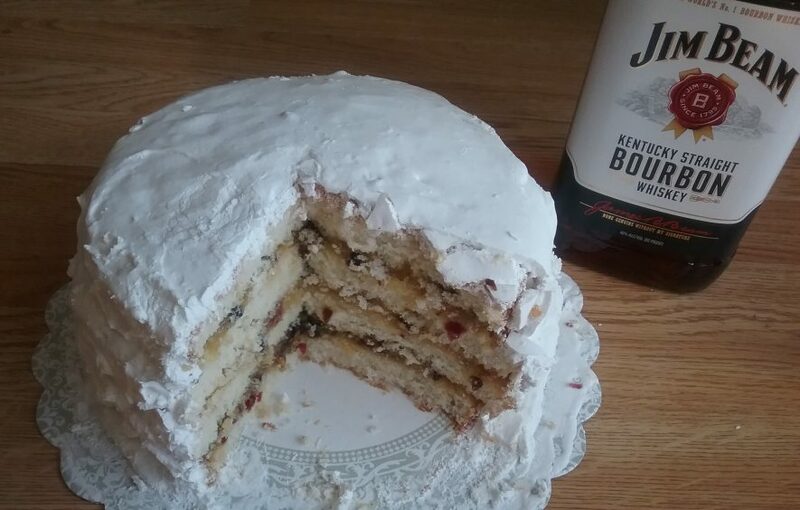 Flavorwise, this cake was a knockout. I went back for multiple servings and had a hard time cutting myself off. Rich, buttery, but also chock full of amazing fruit. I’ll be serving it up for breakfast tomorrow for sure. Thanks m&m! Many thanks also to Lilly Sue and her Bites and Brews. 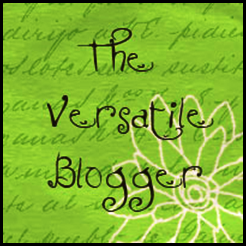 Lilly Sue was kind enough to nominate me for the Versatile Blogger Award for which I’m most grateful:-) I’ve seen this award make its rounds and am tickled to have it come my way. Yay! It’s been great fun to put my food stories out there and it’s a kick (in a very good way) to know others are reading it. Also want to congratulate Lilly Sue on receiving the award herself. She has a great voice, covering the beer and culinary scene in Colorado. I’ve enjoyed following her posts: great stories, great photos, great music clips. Check her out and you’ll agree that she has excellent taste in food, drink, and music. In keeping with Versatile Blogger tradition, I’m listing 15 bloggers to nominate for this same award. The final “requirement” for accepting the nomination is to list seven things about myself. I’ve tried to like kiwi, but to no avail. Though I’ve written about my aversion to fast food chains, I have a soft spot for McDonald’s ice cream cones. And I do love my DQ. I’ve recently discovered Baron Ambrosia’s Culinary Adventures on Cooking Channel and it cracks me up. Even with all of the amazing recipes available online, I’m still partial to my old-school, hardcopy cookbooks. I’m not on Facebook, though am working on a page for my business. When I left my college apartment, I didn’t have to clean the stove because I NEVER USED IT. Yes, I have a Food Science degree, but I didn’t learn how to cook until after I graduated. 1. Thank the person who gave you the award and link back to their blog. 2. Choose fifteen blogs to nominate and let them know by leaving a comment. 3. Request that the chosen blogs pass on the award to their favorite fifteen. 4. Copy and paste the award on your blog post. 5. List seven things about yourself.